Useful to use the Churches times and seasons. Epiphany: The revelation of Christ, the Son of God, to the world – through the star that appears to the wise men, and the baptism. At Lent we focus on Jesus ministry and in particular the way that the course of his life led him to his death on a cross. It culminates in Holy Week, when we focus again on Jesus’ last week. On Maundy Thursday we remember how Jesus gave us the Lord’s supper. On Good Friday we remember his death on the cross for us. 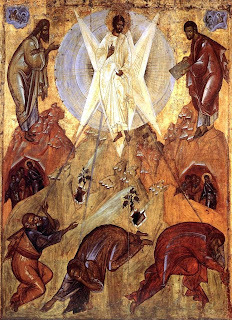 And of course on Easter Sunday, and throughout the season of Easter, we focus on the risen Jesus, and that as Christians we are called to live as resurrection people. Last week several of us went on silent retreat. One of the things that happen when you go on silent retreat is that you become aware of just how many voices there are round about you. We are surrounded by so many voices. The outer voices: the voices of others, present and past, spoken and unspoken. The voices of parents, teachers, friends, work colleagues, books, advertisements; there are the magazines we read, the programmes we watch, the films we see, the websites we visit. Even the back of my cereal packet tells me what I must eat.